Organizers for Evo, the world’s biggest fighting game tournament, announced the lineup of games for 2018 event. While that’s big enough news on its own, there’s one especially notable detail: Marvel vs. Capcom: Infinite is nowhere to be found. This will be the first time a Marvel game hasn’t been part of Evo’s featured lineup, and – unless the competitive community rallies behind the game in a big way – it means that Infinite will have never featured on the genre’s biggest stage. MVC:I has struggled to capture the attention of the fighting game community for a variety of reasons. The roster was limited compared to previous games, especially hurting with the loss of fan-favorite X-Men characters. Ill-will toward Capcom fighters remained after a poor launch for Street Fighter V. Dragon Ball FighterZ was promoted in the same time frame as a more visually appealing tag fighter stuffed with beloved characters. 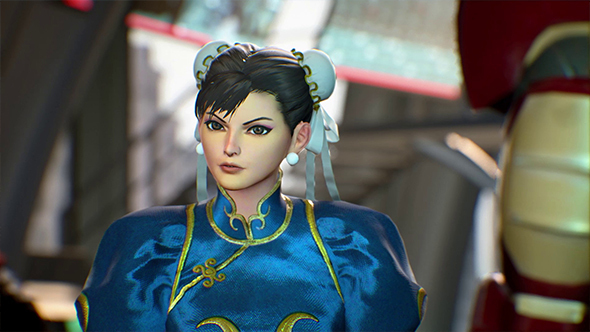 Whatever the specific reasons why, the Evo announcement seals the general rejection of the game – even the publisher’s own Capcom Pro Tour news this year makes no mention of Marvel. Even without the MVC:I news, there are some interesting notes on that list. Three Arc System Works games will be at Evo, one of which isn’t even out yet. There’s no appearance from King of Fighters. And the Smash community continues to be split between two different games. When’s Evo? August 3-5. When’s Mahvel? Not then.